On December 1st of 2017, United States Chamber of Commerce hosted its second annual case competition. 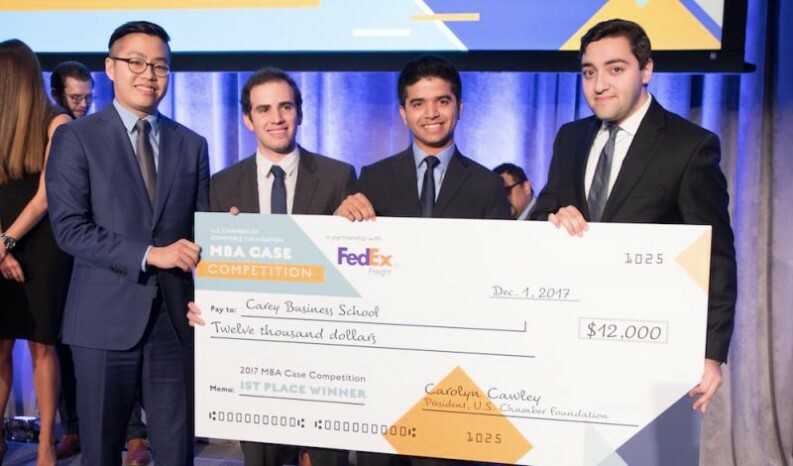 At this competition, The Chamber invites MBA students from around the world to form teams, and provide solutions to most challenging business problems of the day. Nariman Ziaee weeks later reflects on the how he and team members Marcus Tan, Chirag Potdar, and Ryan Douglas replay mentally why they were so anxious? Nariman reflects “that after weeks of hard work, it was finally time to enter the competition. We gathered in our hotel room, and decided to practice our presentation for the 20th time. This year, the question was themed based on why public has negative perception about businesses, and how this perception can be changed. The teams should have come up with a solution that was practical, effective, and most importantly novel. Our team from Johns Hopkins University Carey Business School could make it to the four finalists after the first round of submission. Alongside Johns Hopkins, the other finalists came from UC Berkeley, Stanford, and George Washington business schools. The judges were representatives from US Chamber of Commerce, FedEx Corporation, and an economics professor from Dartmouth’s school of business. The judges were impressed by all teams, but the factors that made Johns Hopkins stand out were creativity, organization, and a data-driven approach that was backed by research. 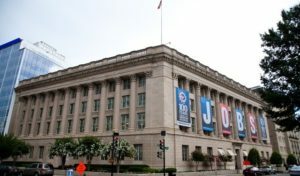 The judges finally announced Johns Hopkins as the 1st place, GW as 2nd, Berkeley as 3rd, and Stanford as the 4th place. The announcement of winning teams was certainly a glorious and thrilling moment for our school, our families, and ourselves. We are planning to participate in few more cases before graduation, and create an effective solution that can make a difference in our community.